Stand in: "Hey, Baby, lets trip the night away from this lot." Miranda: "Only if you want to wear my sword where the sun don't shine, get that smirk off your face! Mr. Jackson, get this joker out of here! Where is Viggo?" "Prithee, my lord. I see that Sauron hath bespelled thee. This potion will restore thee to thy natural appearance. Drink it. Now." Eowyn: I can't have Aragorn, but how low does a girl have to go to find a suitable husband in Rohan? 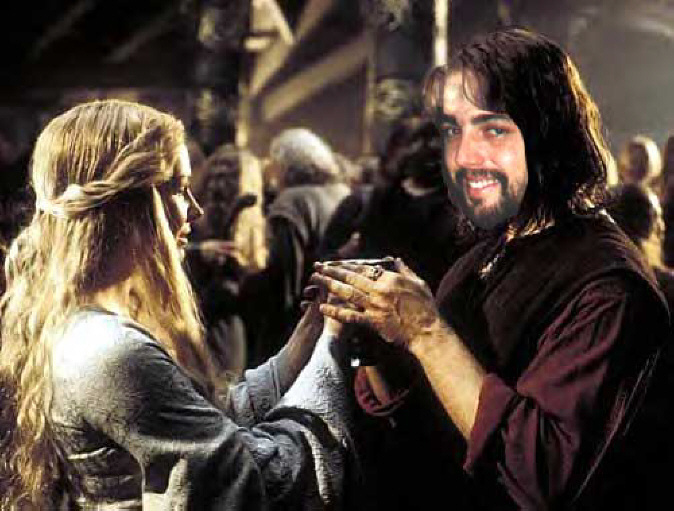 Maybe if I sneak to Minis Tirith I'll find someone better than this bozo to marry." Gee, Viggo, you look different in person. Those makeup artists can do miracles. Stand in: And for THIS, I get paid! Hey Pete, when's my makeout session with Arwen?